At SLG Property it is important for us to provide you with the best possible service. 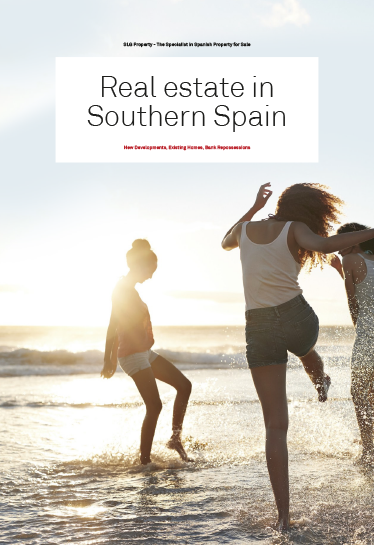 Whatever you are looking for, we shall do our very best to find your Dream House on the Costa del Sol. In the past years we have received a lot of recommendations. Below you can find some reviews of a couple of satisfied clients. Should you have any questions or want to receive information about properties, feel free to contact us. 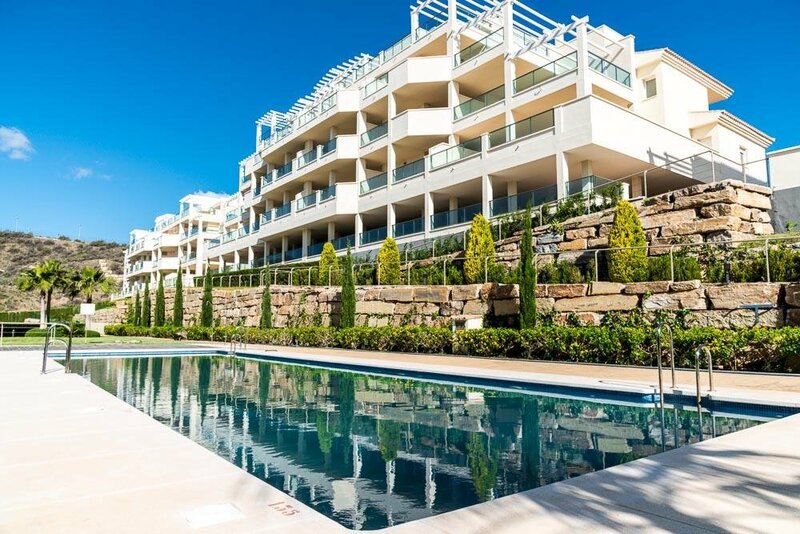 After we decided to buy an apartment in the Costa del Sol because of the beautiful highlands and the many golf courses, we contacted SLG Property. On the site we selected 10 apartments that we wanted to view and visit. We were really helped by Ron de Vries and one of the employees. After having looked at 3 apartments, you said: "Let us stop for a moment, as we now know your requirement. We have a beautiful apartment that fits all these requirements." Upon arrival and immediately after the viewing we said: "this is going to be." The apartment was a model home and the location was on a mountain with beautiful sea views. Also during the further processing with the Law Firm and the Notary, SLG Property helped us in a nice way. If we ever find something else in the Costa del Sol, which is not the case now, we will not hesitate to contact you again. Very helpful with the after sales service. You can always count on SLG and Ron de Vries and nothing is too much for him. Always looking for the right solution. Has helped us tremendously, and still. An absolute recommend! 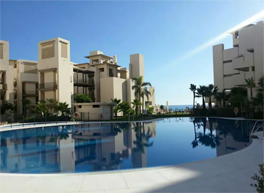 We are very satisfied with our purchase, it is very quiet over here, we have a fantastic view of the sea and the mountains, and 5 km from the beach and the city. A nice well-kept garden and swimming pool. A good base for trips and excursions. I contacted the website of SLG Property in 2016 because my mother wanted to buy an apartment on the Costa del Sol. Then we made an appointment with Ron de Vries, but when we arrived there we found out that we had an appointment with Richard. From the first moment we had confidence in Richard. Knew what we wanted and was super enthusiastic and friendly! In 2 days time have already decided what we wanted to buy, my mom's big dream, an apartment in Spain. Even afterwards, Richard helped us with everything (furniture, furnishing, car etc ...). Definitely recommended to buy an apartment or house with him, TOP service from start to finish and even far afterwards. In July 2016 we traveled for a week to the Costa del Sol to join Richard Jansen from SLG. Beforehand, we had made a selection on the SLG website of about 10 urbanisations that we wanted to visit. Eventually we visited 8 and we bought an apartment in Estepona. A year and a half later, we are still very enthusiastic about our purchase. What is especially striking is the excellent after sales service of Richard. We called him a few times and he always helped us. A nice experience for us. SLG Property has pulled everything from our acquaintance to find the best fitting apartment for us. They give honest advice and did not just manage and supervised the process up to and including the transfer, but also provided advice to our newcomers afterwards. We warmly recommend SLG for the purchase of your Spanish stay! Nicole and I fell in love with Andalusia during different trips. Both the coastal and inlands, every bend again a beautiful view and what to expect when visiting Estepona: it is simply fantastic. The atmosphere that Andalusia breathes gives us a very nice feeling. Here we would like to stay longer ... but how do you start? On a regular basis we watched on television and internet the possibilities to buy something in the Estepona area. Estepona lies between the sea and the Sierra Bermeja, which turns beautifully red in the evening and morning light. 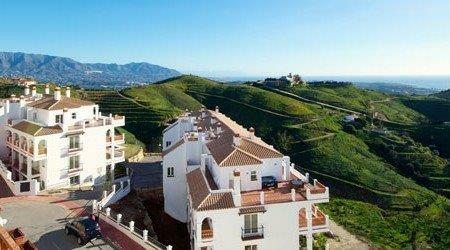 You have a magnificent view of this mountain just up from the coast west of Estepona towards Casares and surroundings. 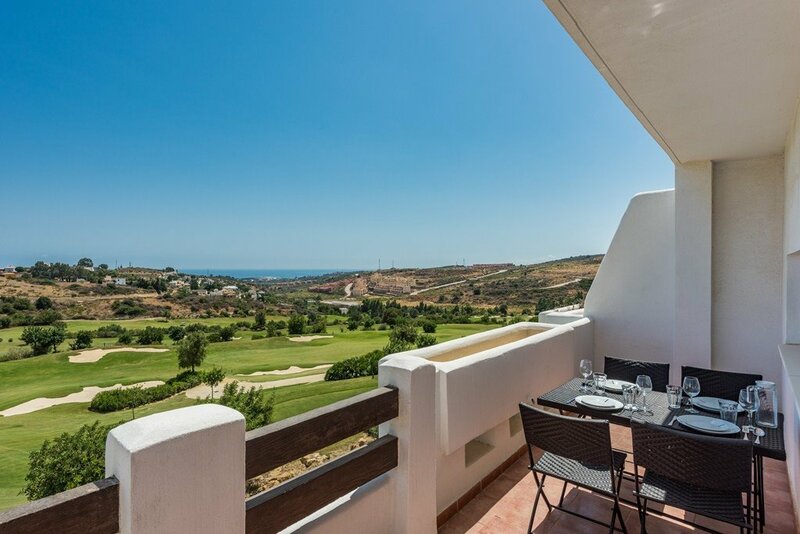 We decided we wanted to find something in this area, a quiet place to which you have been after a day or longer to go back to and then with a nice book, drink on your terrace with beautiful views of nature, a splash in the pool and relax with a nice snack. There is an extremely wide range of existing homes in Andalusia, something for everyone and at any price. We were also curious about the possibilities of new construction, but how do you achieve this from a distance. On the internet we encountered new developments and projects that appealed to us and then it really starts to itch. But please note that the offer that has been sold in the meantime will stay on internet sites for years without being removed after sales. We came to the conclusion that there is only one good way and that is traveling to see what the effective offer is. And you can not do that alone. Last January  we decided to visit the Spain Expo Fair in Waregem [Belgium]. This is the real estate fair in Belgium and the Netherlands for those who want to buy in Spain. We visited several exhibitors, real estate agents with knowledge of the Spanish property market that try to give us as much information as possible. We also met Ron de Vries from SLG Property at the exhibition stand and had a sympathetic informal conversation about our wishes and which paths you can walk in the run-up to the purchase of real estate in Spain. They also know the right people to legally assist you in your own language in Spain to ensure that the purchase process runs smoothly. Coming back home, we were excited. We thought: if we can travel to Málaga to look to the project then we have the first option, don't we? 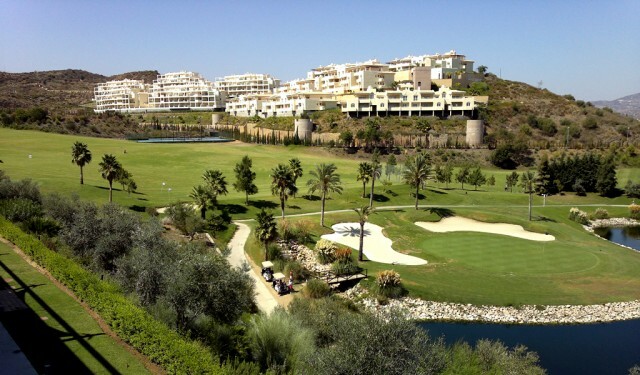 In October  I also found information about the Project Mirador de Estepona Golf. This project was in the perfect environment for us. Coincidentally, this Project went on sale on 15/01/2018. 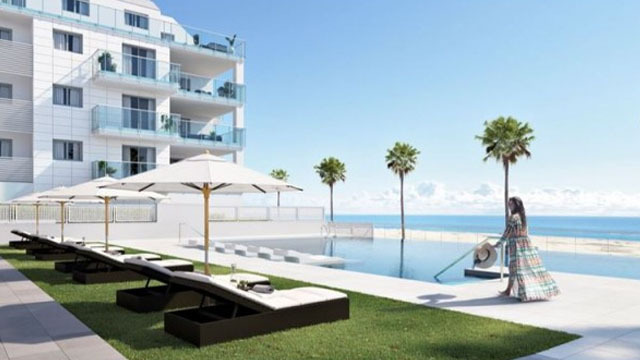 During our Expo exhibition we visited we had several conversations and the next day I got an email from Ron de Vries with an overview of 7 new construction projects in the area of ​​Estepona, based on our wished. Next to that, he told us that if we were interested, we could stay in the area without obligation for a 2 day-visit. The procedure went fast. We emailed 4 days over and over again and finally we ended up with 12 projects to be seen in 2 days. We booked the flight to Malaga after receiving the first email from Ron de Vries and visited the next day with colleague Willem Bruins several projects in the area of ​​Estepona. What was so nice about this, Willem and Ron listened to you, you visited various projects that were actually based to your interests. After the various oooh and aaaah's during the planned visits, you will eventually fully realize what project is best for you and this is made possible by the relaxed / quiet way in which both brokers guide you in this without any form of intrusiveness. 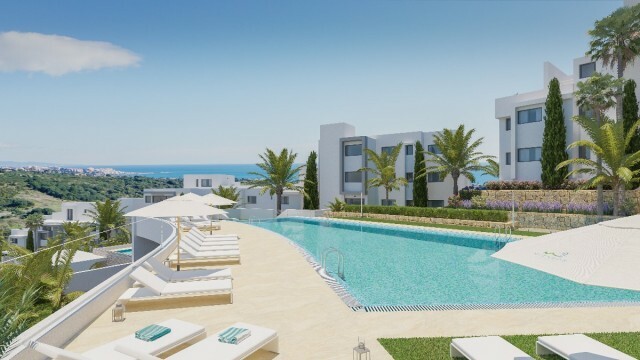 Shortly, after the trip we signed a contract for the new development, and we just received the message that the building permit was delivered by the municipality of Estepona and in September they start the construction works. Completion is expected in early 2020. We are only satisfied with the process that we have chosen for our acquisition of real estate in Spain. We wish to thank you for your help and perseverance! It eventually became the last development that you chose for us. We are very satisfied with our choice and your service.